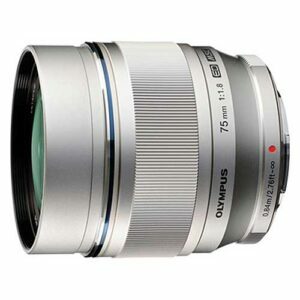 Lens Description: A new, bright, f/1.8 Micro Four Thirds Lens. Perfect for portraits and challenging lighting conditions. New M.ZUIKO DIGITAL ED 75mm f1.8 High-Grade Portrait Lens Enhances the Power, Performance and Versatility of Olympus OM-D and PEN Compact System Cameras.